(Kariya, Japan) July 2, 2013 – Toyota Boshoku Corporation (Tokyo: 3116, President, Shuhei Toyoda) a premier manufacturer of automotive interior systems, started production of seat covers for the new Toyota Corolla model and held a ceremony to mark the launch. Attendees at the opening ceremony included Düzce Governor Mr. Adnan Yılmaz, many other dignitaries, local suppliers and employees. “I would like to thank the people of Turkey and the local community, our customers, shareholders, suppliers and employees for their great support towards this project, said TB Sewtech Turkey President Kenji Hirota. Established in June 2012, TB Sewtech Turkey has been preparing to manufacture seat covers to supply them to Toyota Boshoku Turkey who manufactures automobile seats for the new Toyota Corolla model. Toyota Boshoku invested approximately 664,000 TL (approx. 285,000 Euro) to open TB Sewtech Turkey with the aim to strengthen and leverage competitiveness. Female employees make up more than half of the 180 person-strong workforce. TB Sewtech Turkey aims to become the top supplier of seat covers in Europe focusing on safety, quality, delivery and cost to provide a wide variety of customers with attractive automotive interiors the world over. 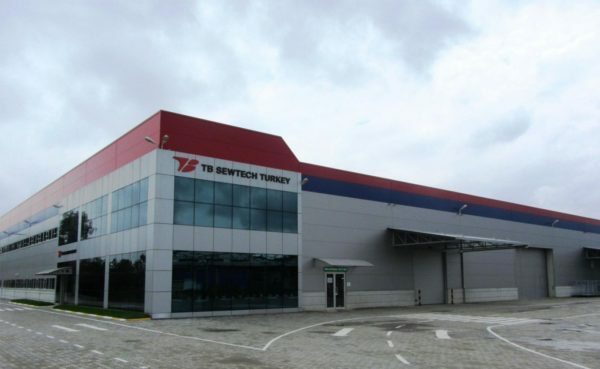 TB SEWTECH TURKEY OTOMOTIVE SANAYI VE TICARET LIMITED SIRKETI (TB Sewtech Turkey Ltd.) was established in Düzce, Turkey on June 2012 and is headed by President Kenji Hirota. TOYOTA BOSHOKU TURKIYE OTOMOTIVE SANAYI VE TICARET A.S. (Toyota Boshoku Turkey Inc.) invested approximately 664,000 TL (approx. 285,000 Euro) in its 100% subsidiary and set it up with capital of 1,400,000 TL (approx. 600,000 Euro). A workforce of 180 will manufacture seat covers in a building of 5,500m2 in size on a site of 10,000m2. Toyota Boshoku Corporation is based in Kariya City, Japan with more than 95 sites in 25 countries (as of the end of June 2013). Founded in 1918 by Sakichi Toyoda, Toyota Boshoku Corporation has expanded from its orginal business in textiles to become a leading global supplier of interiors for automobilies and other forms of mobility. Its subsidiary, Toyota Boshoku Turkey was established in October 1997 and is a leading manufacturer of automotive seating and interior components in the European region based in Turkey.